I sure do love my job! How many of you can say that? WOOF! I thought I was in Heaven the other day tryin’ out those turkey dog treats, but then what can I say?! We gots some Nutro Moist-n-Chewy dog treats to try out. Man, oh, man, I sure love chewy treats! These chewy treats are WOOFALICIOUS and the perfect dog treats for training! As usual, I don’t know all the specifics and not sure I rightly care. But, my Lady does so I guess that’s that. Let me get her to tell ya ’bout em! Silly Molly! She does love the chewy treats the most. Some of the pups like the crunchy ones, but she has always loved the chewy ones. She really was in Heaven with these Nutro Moist-N-Chewy Bites! I loved that they are all natural treats! Of course, if they make my pups happy – then, I am a happy pup mom! The Nutro Moist-n-Chewy dog treats are great for training. I know I am always harping on training and training treats, but when you have as many pups as I do then it is a constant thing. I love the small sized bites and the they are easily chewed and swallowed to move on to the next command in training. The pups work extra hard for them, so they must be very tasty too! 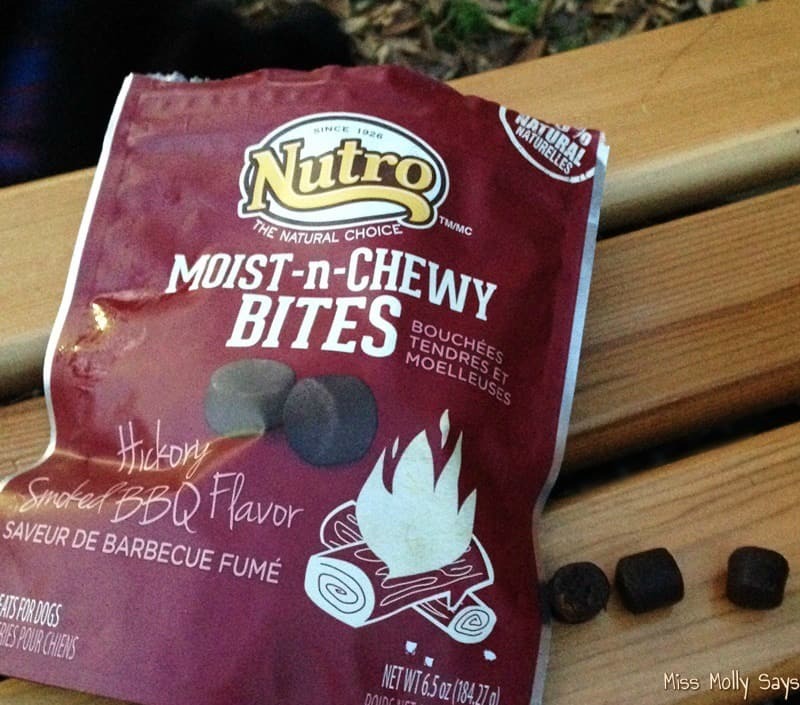 Where can you find Nutro Moist-n-Chewy Dog Treats? 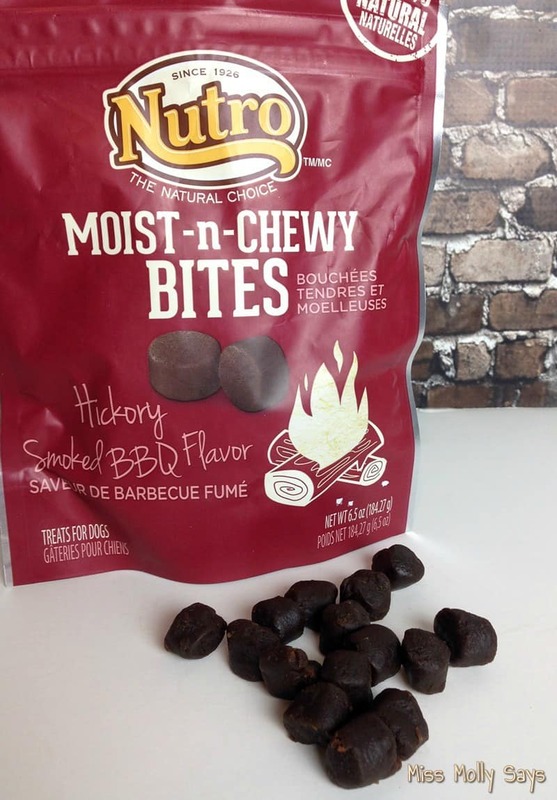 Nutro Moist-n-Chewy Bites come in the delicious flavors of Hickory Smoked BBQ and Roasted Chicken and are perfect training treats! If you would like to these yummy treats for your furry friend, you can find them at Chewy. Chewy.com is our number one place for delicious healthy treats and pet supplies!